Despite the fierce competition that has emerged over the past few years, PowerPoint remains one of the most used programs to make presentations. But, on many occasions, we spend too much time thinking and creating an original and attractive design for our presentation. 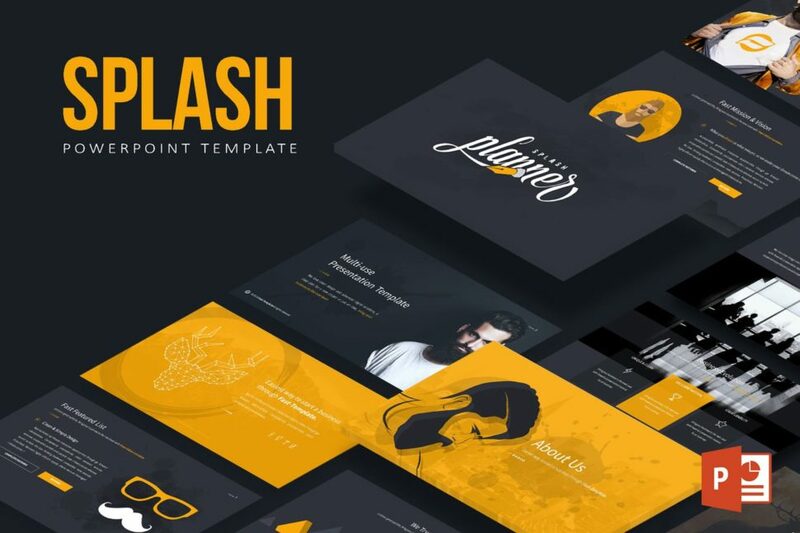 Therefore, we came up with a list of some of the most original templates for PowerPoint that you can get right now. 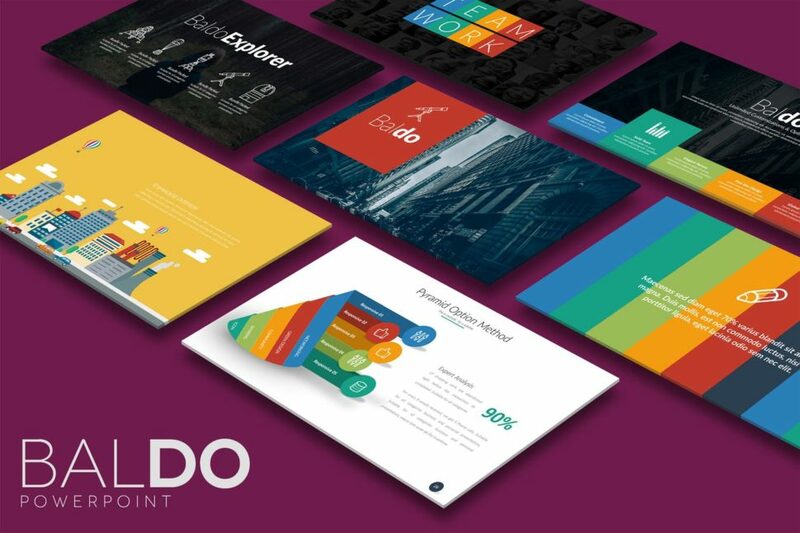 Because of their great design, it will make your presentations much more effective. The public will not only listen but will also be amazed by the visual presentation. 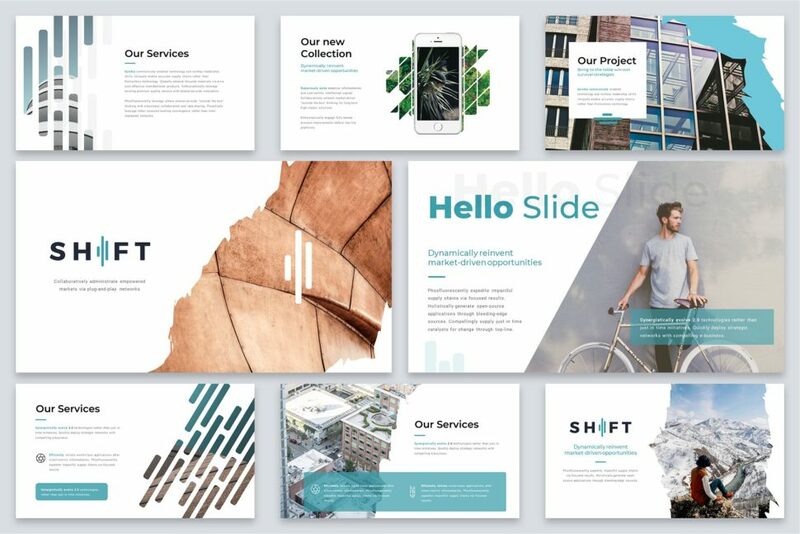 Without further delay, let’s see some of the most original PowerPoint templates you can get right now. 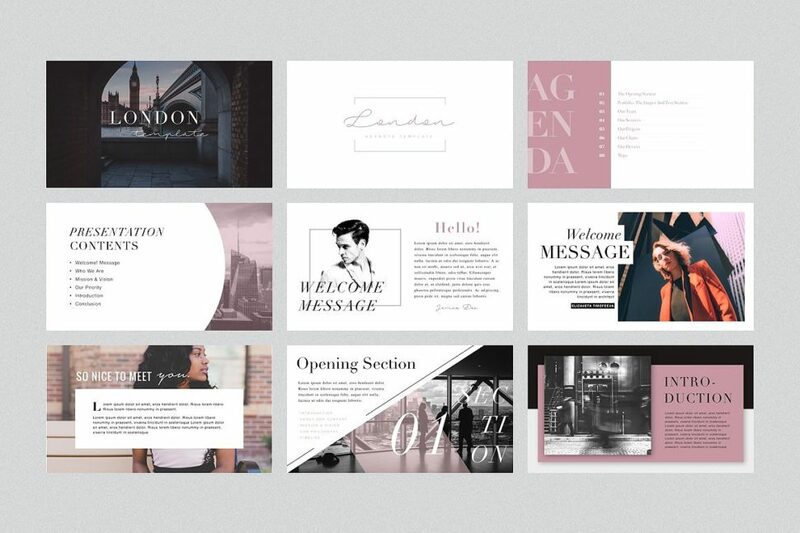 London plays with a layout in a very original way in the form of a mosaic, to align the different elements of your presentation. This makes it look very clean, since one of the great evils in some presentations is that everything appears crowded and disorderly. But with London, we you not going to face these problems. With 70 unique slides, Baldo offers a wide variety of color combinations. 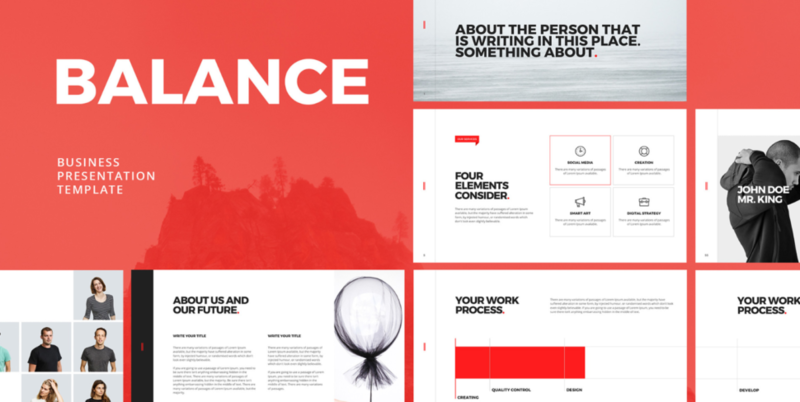 The correct use of a wide color palette is not easy, but this template does it perfectly. Ideal for use in company presentations, e-commerce or products. Sometimes, we simply look for a template that allows us to insert images, to support the presentation. 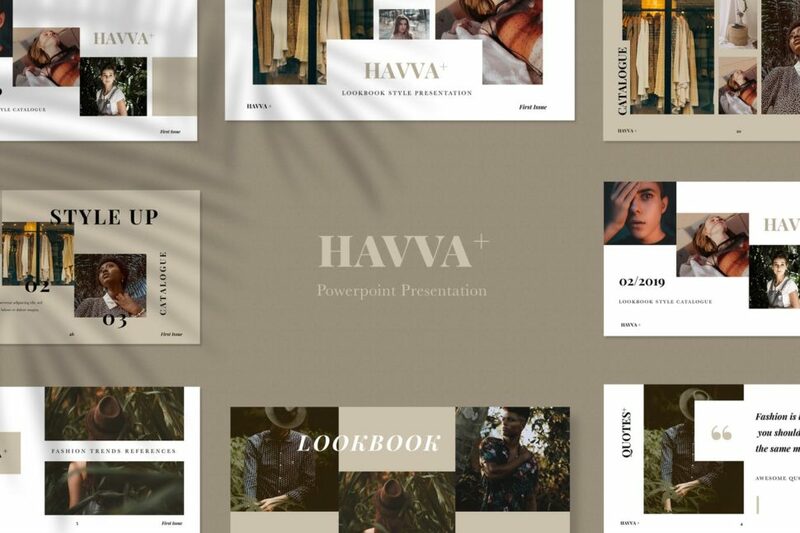 If you are looking for something like that, Havva + is your template. Its strength is the large format images, either combined with one another or with quotes or short texts. Texts with typographies fit perfectly in Havva +. 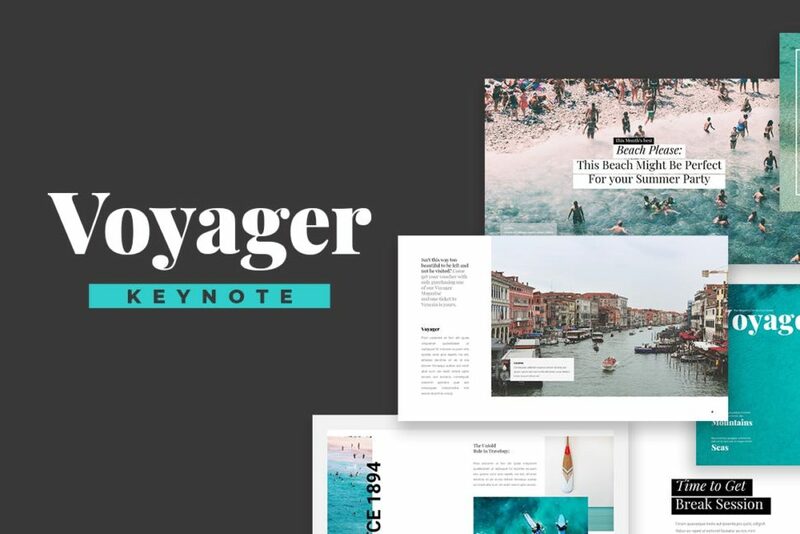 Although it is specially created for company presentations, you’ll most likely be reminded of a travel magazine when viewing Voyager. It has a perfect layout between the space of texts and images. Creating a tremendously readable space for the purpose of the presentation. Something that we often overlook. Although it is not very common to find, more and more templates are required to be displayed on mobile devices. Something that Concept fulfills perfectly. 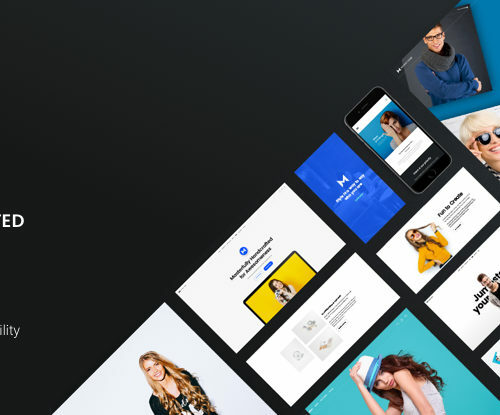 It has a wide variety of animations with which to make you slides more dynamic not just for mobile, but in general. You also have the ability to choose both a dark and clear mode. If what you’re looking for is a wide variety of tables and graphics, then Digital Art is the ideal choice for you. Among its more than 50 unique slides, you’ll have a wide range of elements to display all types of data in a very visual way. 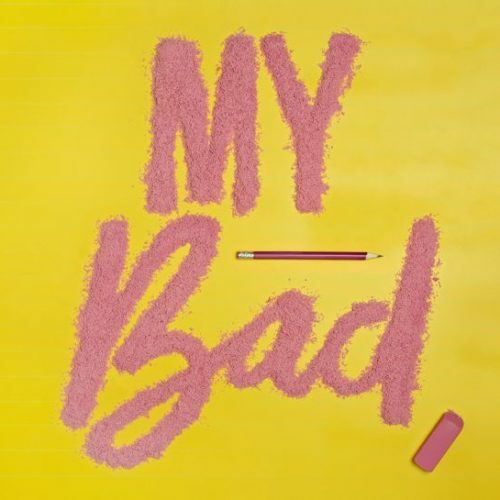 A presentation of this kind does not have to be boring, and Digital Art makes sure yours isn’t. Available in 5 varieties of color, Splash goes far beyond the combination of any normal background with a dark colors. With the use of certain clear elements and by contrast, you can put the focus on the details you want. 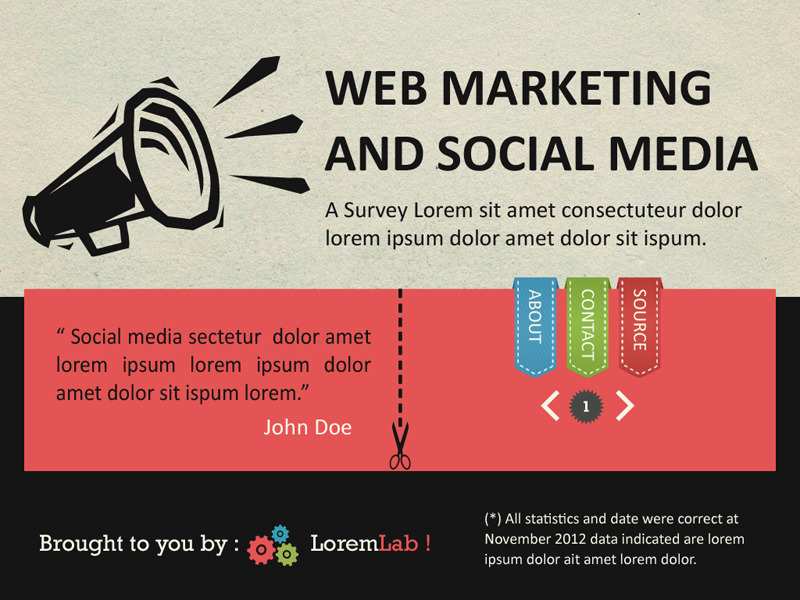 Created with marketing and social media presentations in mind, Infographic Survey plays with a vintage look. What better way to have a retro design in a presentation of data than on the use of new technologies. All its elements are arranged independently, so we can use them and combine them according to your needs. Possibly one of the most groundbreaking designs in this list, X is also free! 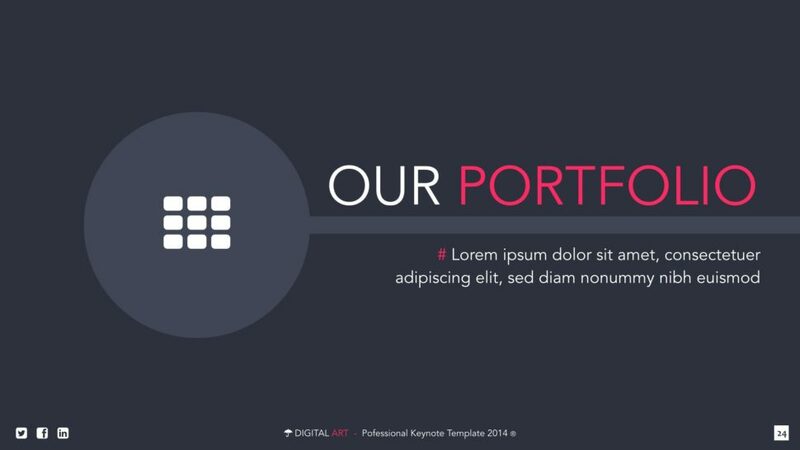 With a few elements, you can create very visual slides. In addition, it stands out from its icons in vector format, which adapt perfectly to any screen resolution. If Balance stands out in any category, it is for the simplicity of its lines, light background, very readable text, large format images, very specific use of color, and clean icons. Ideal for those who seek an immaculate look to launch a powerful message. And if that was not enough, it’s available for free. If we take a look at all the templates in this list, Report is the most minimalist in several aspects. On one hand, it only makes use of black and white, making concessions to some range of gray. On the other hand, it does not use elements that can distract from texts or images. Ideal if we are looking for a sober, modern and clean template. 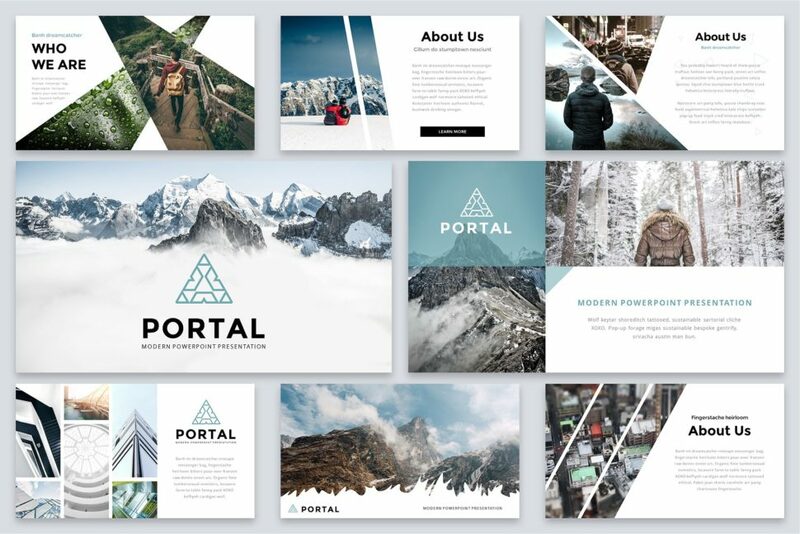 Although we have cited some templates created specifically for certain types of presentation, Portal happens to be the contrary. Being multipurpose, it can adapt easily, whatever the content of our presentation. It has a large number of animations and master pages, which serve as the basis for creating your own slides. When we say that Epsilon has an impressive variety, we might be understating it a little. 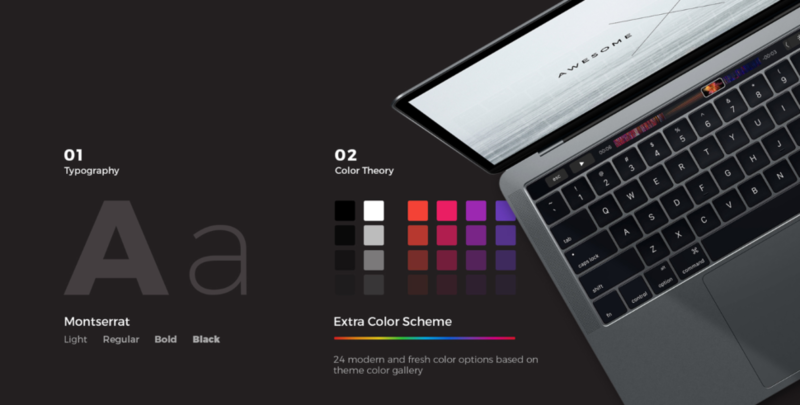 117 color options, 500 icons, and more than 3000 slides will greet you upon download. All this while working towards a very clean and colorful design. Still, have doubts? 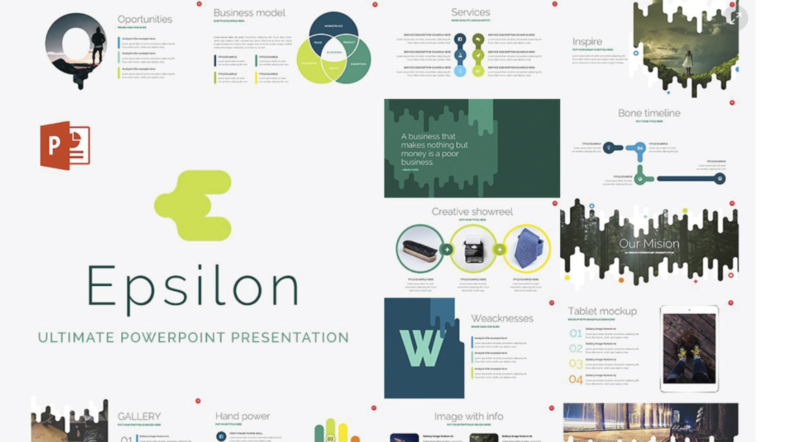 Epsilon is available for use for free! Give it a shot. If you love gradients, then this is your template. It is one of the styles that quite fashionable last year, and that trend seems to be continuing this year. But do not be fooled by the image. In Charity, there are dozens of predefined color palettes, with which you can create different gradients of colors. Thus, you will never have two visually equal presentations. 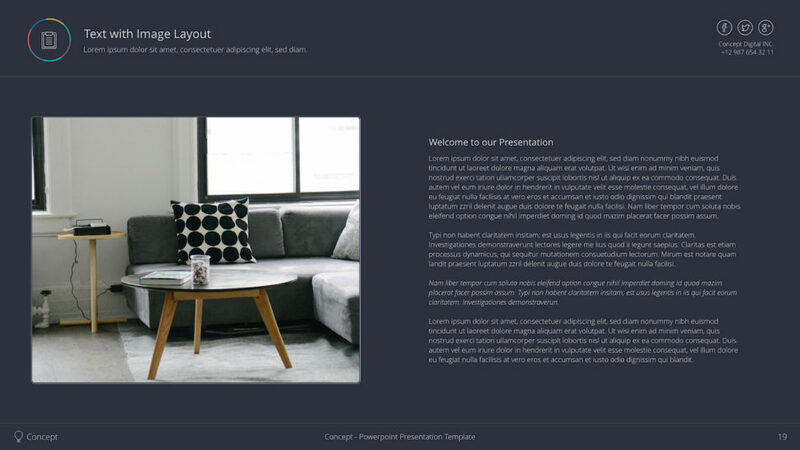 With Shift, we can use PowerPoint elements that are more typical of image editing programs. And it has clipping masks, with which you can adapt your images and photographs to different forms. And even texts. A very original way to present our slides. 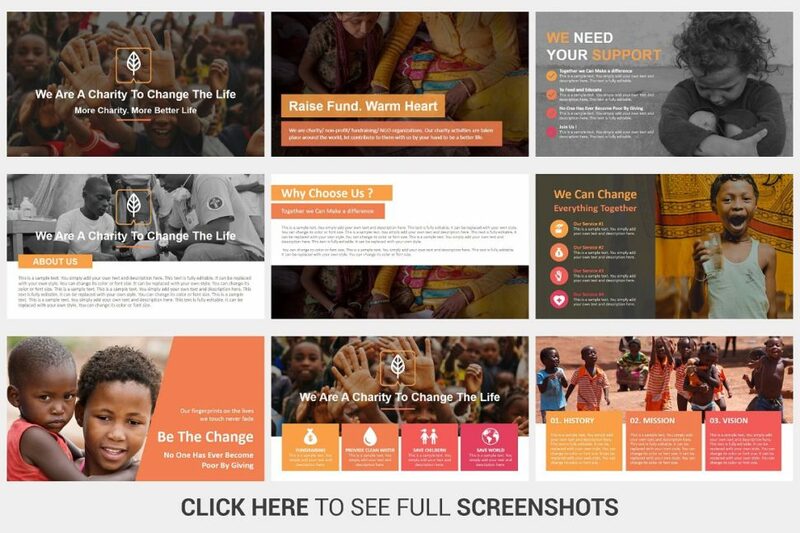 There are many PowerPoint templates out there to choose from, so picking the right one can get a little confusing. 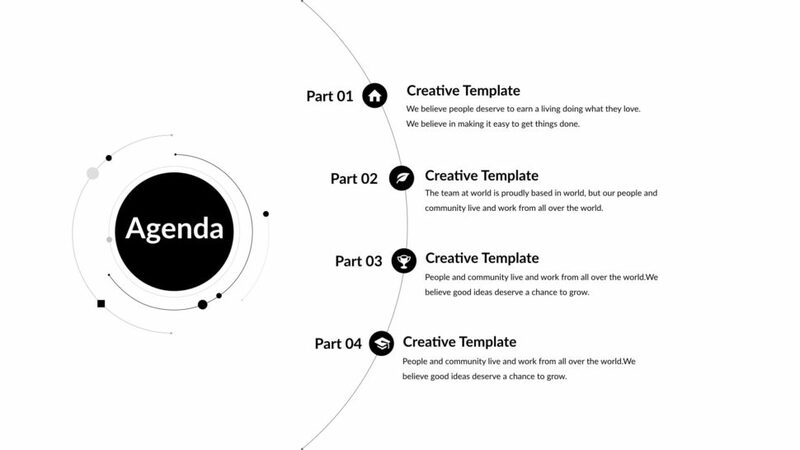 If you’re looking for templates that have been tested and proven to work flawlessly for their given purpose, then give a few of the ones listed above a shot.